Where is the sun there is fun! Swimming in the sea, sunbathing on the beach, cycling in the countryside, playing games outdoors, fishing on the river… there are so many great activities that you can do during this sunny season. It lasts three months, but it’s always too short for children. So try to not waste a single day to have beautiful memories for the whole year. And wherever you go, don’t forget about us and just take Topcoloringpages.net with you on holiday! If you hover your mouse over a question then you will see the correct answer! 1. How do we call a small fruit that has juicy red color and small seeds all over it? 2. How do we call a big plant (flower) with yellow leaves and black, edible seeds? 3. What’s the name of tasty, golden liquid made by bees? 5. How do we call a type of big car usually used for a holiday trips which consist places to sleep inside of it? 6. In which country stands Eiffel Tower? Although the holiday is usually associated with summer, it’s not like this everywhere. For instance, in Brazil kids begin their holiday in early December and finish in late January. The reason is that the temperature rises over there at that time above 30 degrees. After hot and sunny days famous Eiffel Tower grows for about 15cm. This is due to the fact that steel contracts when it’s hot. Numerous Native Americans conducted ritual ceremonies and mysterious dances to worship the sun and its powers. A good example are Sioux who would set up teepees in a shape of a circle to represent the cosmos, and the participants of the ceremony would decorate their bodies in various colors: red which represented sunset, blue which represented the sky, yellow which represented lightning, and black which represented night. 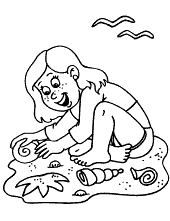 The hottest category of printable pictures for coloring! What a wonderful and optimistic collection of printable summer coloring pages for children, don’t you think? Holidays means sunbathing on the beach, playing in the sea, building enormous sand castles, climbing in the mountains, unforgettable adventures and many more great activities. And you know what? 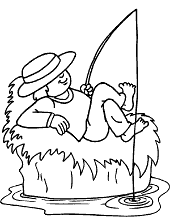 Those activities are presented on the above selection of unique and original coloring sheets for children. Ready to be printed or downloaded wherever you want.